eborah Bell walked from a two-story clinic up a grassy, muddy hill to a grade school overlooking the humble village of Sarstun. She greeted the smiling kids with a friendly buenos dias and talked to some of the teachers. Soon after she distributed donated school supplies and then a more more helpful donation, orange de-worming pills. “When we did a study here we found that 80 percent of children had more than one type of worm,” Bell said. When Bell first stepped off her flight from Guatemala 14 years-a-go onto Texan soil, the nurse practitioner student couldn’t quite wrap her mind around the conditions she saw. Young children with bloated bellies, adults barely getting the nutrition they need and the entire country drinking contaminated water. She was confounded by medical problems present in a country only a three hour away from where she lived. No need for a mission associated with a church, no aspiration to evangelize the locals, just a mission dedicated to helping the Guatemalan people. Soon after, she gathered some of her fellow medical professionals and headed back to Guatemala. Deborah Bell became the founder of Refuge International and remains president to this day. Since its founding, the non-profit organization has grown beyond medical missions and now is engaged in clean water, deworming and educational projects. That’s not to say Refuge International is skimping on medical missions as they have multiple missions throughout the year at three different locations with another site currently a work in progress. San Raymundo was the first place Deborah Bell came to when visiting the country. To this day she still strolls through the same clinic, talking with patients and fellow volunteers. A nurse practitioner, Bell travels from her home in Longview, Texas, for the Refuge International missions. To reach the clinic she takes a three hour plane ride to the country’s capital and from there she takes about an hour long bus ride north along the long and windy road. Being not too far outside, Guatemala City, the capital, San Raymundo is the most popular of the refuge clinics with both volunteers and patients. The clinic shares a gate located off of a dirt road with a private grade school decorated with colorful paintings of children. To reach the clinic, visitors must travel down a dirt road past brightly painted houses and packs of stray dogs. Across the dirt road of the clinic are fields of giant white tents filled with tomatoes being grown for McDonald’s. The clinic is painted with solid bright colors, with the sporadic paintings of a children’s show characters. At the center of the clinic lies a spacious courtyard where patients wait to be seen. Rebar pokes out the top of the roof similar to many other buildings in Guatemala to avoid paying taxes on a “finished” property. While the clinic may sport a humble appearance, it is equipped with dentist equipment, an operating room packed with three tables, a post operation room, a pharmacy, a lab and multiple clinics for nurse practitioners to examine patients. 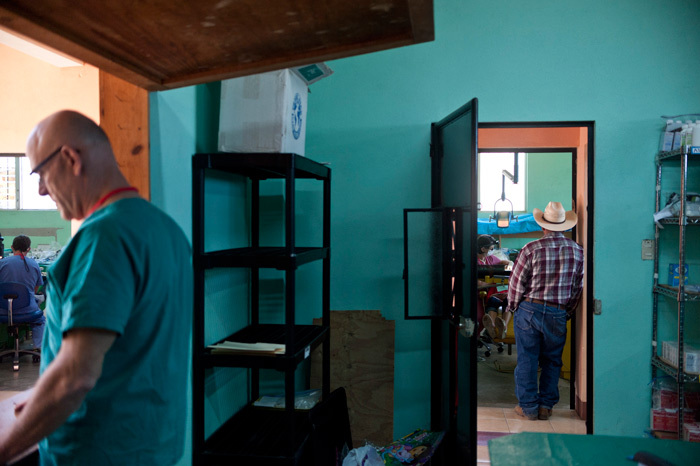 These rooms are lined with equipment that may be considered ancient in the United States, but some of the best available to Guatemalans. Most cities in the world close to the capital usually have great healthcare, but for a country with more than half of its citizens in poverty, national health care options in Guatemala are unaffordable and unreliable. It’s not only the high price, but it’s also the time patients have to wait to be seen by doctors and surgeons. These problems are are from the national healthcare being severely underfunded said Joy Gring, a resident nurse and Guatemalan local. “One year we had the president’s wife secretary came out here and they toured it and they said ‘You have a lot more stuff here than our county hospital has in Guatemala City,’” Gring said. While Refuge International is out to treat as many patients as possible, it charges its patients for visits. This is a way to be respectful to the Guatemalan people who hold their pride as utmost importance. Sometimes patients can’t afford the asking price and may receive treatment at a heavy discount or completely free. Surgeries are often given at a discount as well. 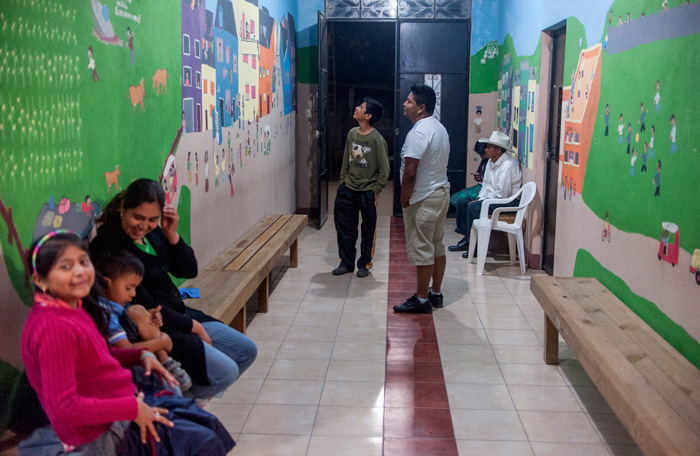 Priority is only given to life threatening conditions in the Guatemalan healthcare system. The problem is, smaller less threatening conditions may eventually turn fatal, but by then it is too late. The most common surgeries done at the San Raymundo clinic are hernia repair, hysterectomies and gallbladder removal, Eveland said. Fixing poor health is what the clinic in San Raymundo specializes in, but Sarstun, Refuge International’s second clinic, is more about preventing the problems from happening in the first place. After completing work in San Raymundo, Bell takes an eight hour long bus ride on a windy road east to Puerto Barrios. 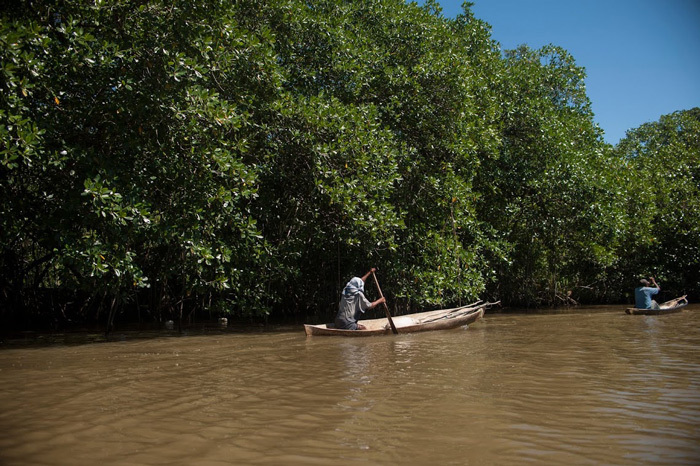 From there, she takes an hour long boat ride along the picturesque coast of the country through Amatique Bay. Upon arriving, she enters a small village nestled in a swampy jungle area with the clinic towering over a majority of the few corrugated roof and wooden buildings scattered among the hills and along the water. Inaccessible by car, boats are the only means of transportation in this fishing village home to the indigenous Mayan people. The clinic is two stories tall with medical rooms at the bottom and volunteers sleeping on the top floor under a thatched roof with open walls. Being close to nature is part of the experience, as visitors will have to sleep under mosquito nets and attempt to catch some rest while jungle sounds of frogs, monkeys and dogs blare around them. Unlike San Raymundo, Refuge International built the clinic with Faith and Practice, another non-profit, and with the help of the community. A single concrete worker, who is an essential part when building in a swampy area, directed all of the others in the construction of the clinic. “You can’t tell it, but everywhere there is a wall, 6 feet down there is a block because this is all mud,” Bell said. All of the workers from the community stayed in the area for the night after working during the day and were fed by refuge since they traveled too far from where they lived. Eventually their hard work would pay off in the form of free and accessible healthcare. Sarstun is an operational clinic that continues working without the need a Refuge International medical team present. Refuge International pays a small team of nurses to treat patients for minor ailments. A small team of nurses are paid by Refuge International to continuously take in patients and treat them for minor ailments. The living amenities may be less robust than San Raymundo, but are more intimate. A near by resident cooks all of the meals in her house and serves dinner on her porch overlooking the river. Just as the living conditions are a little more rough, Sarstun isn’t as well equipped as the San Raymundo clinic. Regardless, it still has an operating room that can execute the most common surgeries and was home to one of the first laparoscopic surgery in eastern Guatemala. Sarstun is not only about giving the locals access to great healthcare, but it’s also about preventing diseases. Sarstun is the only place in Guatemala where it is safe to drink the tap water, Bell said. Refuge International drilled multiple wells around Sarstun and surrounding areas Rorsario and San Juan giving much needed clean water to the locals. Bell plans to dig even more wells around the surrounding area, to make the water easier to access. According to the CIA factbook Guatemala has a high risk of infectious diseases. A majority of the water in the country is contaminated and can cause bacterial diarrhea, hepatitis A and typhoid fever. Contaminated water contributes to Guatemala's high infant mortality rate of 30 deaths per 1,000 births where a large amount of infant deaths are caused by diarrheal illnesses. One of Deb Bell’s first experiences with childhood dehydration was due to a water borne illness. Refuge International is hoping to slowly put Guatemala on the right path to clean water, which would in turn cause a healthier nation all around. Chocola is the third clinic Refuge International operates out of. Dr. Sergio Castillo, owns the clinic and has been serving the community for 12 years before Refuge International stumbled upon him. A Refuge International volunteer bumped into his clinic while searching for local handmade baskets and other goods to sell as a means of raising funds. At the time the clinic was dilapidated with broken windows and pigs being raised in it. Refuge International agreed to help fund the clinic and bring in supplies and medical teams to continually improve the facilities, Nancy Neumann Refuge International’s team coordinator said. The money refuge brings in while running their clinics goes directly back to Dr. Castillo. In fact, none of the money made by Refuge International goes to the organization, instead it goes straight back to the people. In San Raymundo it’s given to the committee that runs the clinic and in Sarstun it’s used to improve the clinic and pay the bills for clean water. Though in not as remote of an area, the living conditions in the Chocola make it much harder for volunteers to come out than even Sarstun. 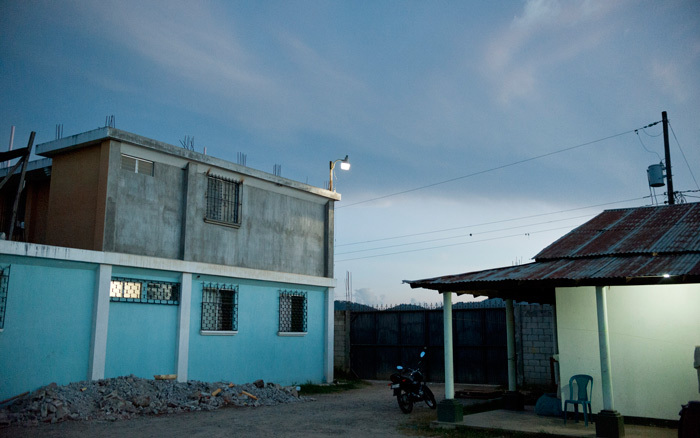 Though other medical teams have come to Chocola, Refuge International is only non-profit to stay with Dr. Castillo despite the harsh living conditions. A major reconstruction project is planned for Chocola, but is on hold until the clinic is fully purchased from the government. Once that happens the roof will be rebuilt as well as the operating rooms said the freelance equipment technician, Joe Leier. “It’s not a simple project,” Leier said. Refuge International doesn’t believe in doing a few missions and leaving, but also wants to make an impact to the community as well. Like the water project, Adios Lombrices is a long term project aimed to help deworm the adults and children of Guatemala. Worms are a huge problem for Guatemalans, especially children. Refuge International conducted a study and found more than 80 percent of children have at least one type of worm living inside of them Bell said. Worms are more commonly found in children since they are more likely to play in the mud where worms are prevalent. Besides higher frequency of infection, children are more easily harmed by worms due to their small body size. If worms do not kill them, they can stunt their growth and affect their energy levels. Refuge International passes out the worming pills to anyone who enters one of their clinics and to as many schools as possible. Over the last few years three million doses have been distributed to Guatemalan children, but Refuge International is still looking for the funding to de-worm the entire country. Refuge International is all about improving the lives of the Guatemalan people in as many ways possible. Whether it be a minor headache, access to clean water or a hernia repair, Refuge International’s helping hand knows no bounds.